It is the start of the Children’s half term holiday, the sun is shining and they are looking forward to some fun in the sun. Maybe a trip to the seaside, picnics, ice-cream, rambling in the countryside? Children should be free to explore the world around them at times like these. They need to get out of those stuffy nurseries and schools, get off of those computers and consoles and stretch their legs and imaginations, play with other children and… be free to have fun! When I was a kid, I loved nothing more than watching the holiday kids’ TV on a school holiday morning and then escaping out to the park with my bike and possibly a book and a picnic, play with my friends or sit under a tree and read – just let my imagination soar. Welcome to the Bookish Banter James. Please tell us from which part of the universe you have travelled from? Sector 7? The Dark rift … just kidding…I hope gulp! I was born and raised in Syracuse, in Central New York State. I say it that way to avoid the idea that I am from New York City. Syracuse is nothing like New York City. Sometimes that is a good thing, some times not so good. How long have you been writing about adventures off world? I started writing in 2011, and published my first novel, THE BEST LAID PLANS Birth of the Starclan, in June of 2012. Well, that’s not entirely accurate. In junior high school I wrote a book for an assignment. It was about a sailor in WWII who survived Pearl Harbour and served through the end of the war. I think some one stole it and made it into a movie around 2001. With extensive re-writing, of course. I have four books out right now, three novels and one short story compilation. 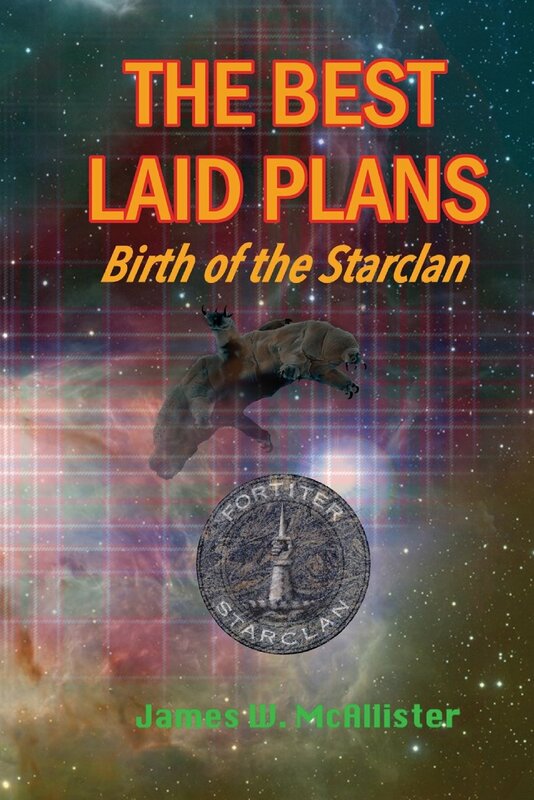 The novels are THE PAGE, a story about a heroic knight fighting to rid the post-Arthurian world of dragons, THE TURRET Starclan Foundation, the first Starclan Series book, and THE BEST LAID PLANS Birth of the Starclan, the second Starclan Series book. The Starclan books are a multi-generational story about one family’s contribution to the struggle of good vs. evil on a universal scale. There will be at least two more books in the series. The compilation consists of 17 short stories I wrote as exercises in airports and hotel rooms, trying to tell a story in two pages or less. My inspiration was the wonderful Twilight Zone episodes I watched growing up. What genre do you consider you write in – just Sci-fi or do you write other genres as well? The Page is a Fantasy book, the others are Science Fiction. I have the beginnings of two more that cross into Action/Adventure and Suspense/Mystery and perhaps even Horror. I write first, and then categorize the work when it is done. Sometimes I struggle with that part! Yes, I agree, it can sometimes be difficult knowing what genre to place your book in for the readers, especially if it crosses into multiple genres. Best to just go with your gut. Can you give us the cosmic details of your latest book – can you give us the feel of it without sucking us all into a black hole? THE TURRET follows the life of Jock MacAlister from childhood through his service in the United Space Force. Along the way, he battles personal tragedies to graduate top of his class from the USF Academy. His first assignment results in the capture of an alien ship sent to mark advanced systems for attack. Jock also confronts difficult facts about his friends and classmates and his father’s death in a research accident. Jock plays an important role in preparing the defence of Earth while powerful forces work in the shadows to turn humanity down the path of villainy. As he battles evil from both sides, Jock lays the foundation for something much larger and more powerful than he could ever imagine. I’ve had several ideas for stories like this in my head for quite some time. I guess I finally got tired of waiting for some else to tell them! I’ve always had an interest in science, and a good memory. I was a math-science nerd/jock in school. I also notice small details and retain things a long time. So I know the basics, but yes, I had to research many ethnic names and practices for the Starclan and PAGE books. I also looked into gravity theories, so I could develop my own for the book. Do you think your writing is improving with each galactic addition to your extra-terrestrial library? THE TURRET is a better book than THE BEST LAID PLANS, if for no other reason than I learned a lot publishing my first book. Mostly I learned what I didn’t know, which is much more important than most people think. After I finished THE BEST LAID PLANS, I found myself missing many of the characters. That has held true for THE PAGE and THE TURRET as well. Unlike most series, the Starclan books take place generations apart, so I can’t keep the characters around in the latest book. It’s a challenge dictated by the overall story of the series. I hated writing in school. It was a task. Now I know that was because I had to write what some one else wanted. When I went to college for Respiratory Care, I had an English teacher that broke through and showed me how to write for me. It just took 30 years for me to do it! I have the story outline and a few scenes in my head. The book then writes itself. Imagine that you are reading a really good book, and you get to decide what happens next! It’s a blast. That’s pretty much how I work too. Fun isn’t it? Do you have a crowd of alien robot followers who read every word and encourage you? I have a wonderful wife, The Lovely Cindy, who really likes my stories. She wouldn’t tell me that if it wasn’t true. And, she never reads the genres I have written. I have some other friends, fellow authors, who keep me focused and grounded too. Some of my first reviews really gave me encouragement too. I have only published through Amazon and CreateSpace. They are pretty straight forward. My biggest struggle has been with marketing. Selling has never been my strong point. Is this book a part of an awesome sci-fi series? Where is it going? 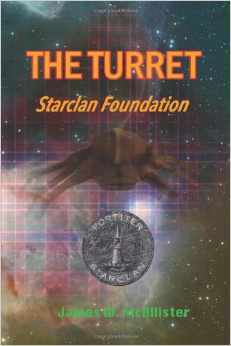 THE TURRET is the first book in the Starclan Series. I wrote THE BEST LAID PLANS first, because it wanted to get out of my head more, I guess! Really, I needed to build the universe with PLANS before I could fit TURRET into it. Evil is working behind the scenes, trying to push Humanity down the path of despair and destruction. Many people sit in the big chair, but the evil continues. 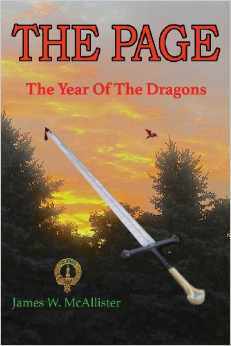 The Clan MacAlister becomes a force to counter this evil through the way they live their lives. As the story progresses, the main characters begin to see the forces they battle, both alien and domestic. The end of the book is merely the signal to begin the battles anew. THE TURRET has nine five-star reviews and one four-star review out of 14 right now. People seem to enjoy it a lot. If you couldn’t be a writer what would you do instead? And no Star ship Captain is not an option! I have a “real” job! I am a Respiratory Therapist who works in Healthcare Accreditation. I help homecare companies improve what they do, from both a business and a patient care standpoint. I really enjoy it! Right now it is Michael R. Hicks. He is very talented, and comes up with unique, original stories. My first favourite author was E. E. ‘Doc’ Smith, author of the Lensmen Series. Then I would say Isaac Asimov, Arthur Clarke, James Bliss, Edgar Rice Burroughs, and Sir Arthur Conan Doyle are there too. No. I have a half dozen illustrations I’ve done for THE BEST LAID PLANS, and two for THE PAGE. That’s all. My interests are fishing, gardening, sports, my wife, my sons, and Jordan, The Wonder Cat. I belong to several writers’ groups. Yes, it helps me immensely to belong to them. The most helpful is the Authors’ Sharing Network. Really good people there. Good editing is crucial to releasing a quality product. I had no editing for THE BEST LAID PLANS, and early reviews told me that! So my wife took to proofreading my books, and I’ve had some beta-readers that look at the drafts and give me their ideas. I’ve hired two editors, and had mixed results; one good, one so-so. Get GOOD proofreaders and editors. When they are done, set your book aside for a month. Just like making biscuits, walk away. Just walk away. Pick it up and read it. Read the words you did write, not the scenes you think you wrote! Then toss your ego out, take into account the suggestions from all sources, and begin your rewrite. Then have it proofread again. Imagine you are carving a statue, and make it perfect. Then realize that you will still find a few mistakes months after publication! 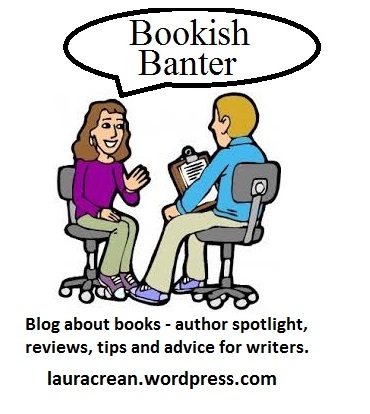 Thank you for joining us here on the ‘Bookish Banter’ and taking time out to give us such an interesting insight into your writing world James and keep us updated when you publish more awesome books. I feel the need to snuggle up in my hobbit hole with a good book and a second breakfast! Welcome to the Bookish Banter Jim. Please tell us from where you hail? Let me guess Transylvania … just kidding…I hope gulp! Australia called Holbrook, although I originally hailed from Sydney. How long have you been scaring people to death with your writing? Almost as long as I have been able to read. I started writing a variety of stories from an early age, creating all kinds of fanciful monsters and things along those lines. I was always the kid in class with the freaky stories for the teacher to read out to the rest of the children and make sure they didn’t sleep well that night. I didn’t begin to seek to be published until the late nineties when I already had two books written. At that stage I had not much of a clue as to which publishers were liable to accept or be in any way interested in what I was writing, so sending unsolicited manuscripts to all and sundry resulted in loads of rejection. This was way back before the social media world of networking made things immeasurably easier for people trying to get published. For years after that I wrote reviews and things like that in the extreme metal scene (probably scaring a few people even then with some of the types of music I was required to listen to) and then I re-read an incomplete story written much earlier, rediscovered my passion for writing horror and that is basically where I’m at right now, successfully published with more dark and wonderfully gruesome stuff on the way. 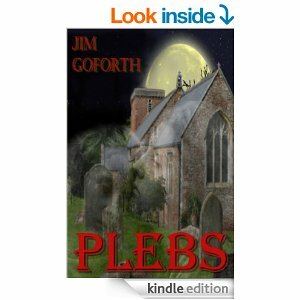 I am currently promoting my début novel Plebs which was released in January this year through J. Ellington Ashton (available in both paperback and ebook format). 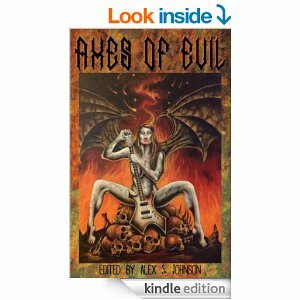 I am also promoting the heavy metal horror anthology Axes of Evil from Diabolus in Musica, which I have a story in. This has only been out a couple of weeks, but it’s already spent time in the top ten Amazon bestselling Horror Anthologies. What genre do you consider you write in – just horror or do you write other genres as well? Horror is my genre. Though there may be other elements of different genres creep in to various parts of stories, horror is the core of most everything I write. When I started writing way back in the day I used to write in a whole array of different genres, but once I seriously looked to get material published it was all of a horror nature. There are an array of different subgenres under the broad blanket of horror itself, and while I don’t consider that I work exclusively in any of the following, Plebs has so far been referred to as ‘grindhouse horror’, ‘splatterpunk’ and old school classic horror, all of which suit me fine. They are among the more visceral end of the horror spectrum and that is where I see myself mostly working, albeit with facets of other things added in. Can you give us the gory details of your latest book – can you give us the feel of it without scaring us all to death? Plebs is the tale of three shiftless slackers, a trio of young men out having a good time celebrating a friend’s birthday. Along the way they happen to encounter a band of mysterious fugitive women who have a whole lot more to them than meets the eye, a whole bunch of deadly secrets and a request of the young men that is going to land them in a whole pile of trouble. From that point on, they are enmeshed in a nightmare of epic proportions that includes the freakish beasts of the books title, new enemies, old enemies, blood, violence and death. Good times are not had by all. Initially this was supposed to be a short story with a similar premise, wrapping up much earlier with a different outcome, but the more I wrote, the more I loved building up the stories of the characters, tossing them into horrendous situations and generally just seeing where they could take the story. As a result I ended up with a six hundred page novel. I have myriad ideas about all kinds of things, probably more ideas than I have time to write and as with Plebs, the seeds of the idea may be there, but when I actually come to the point of writing it, it doesn’t exactly follow any particular blueprint at all, just takes on a life of its own. For Plebs, no I didn’t need to do any extensive research, it all is derived from the twisted depths of my imagination. Generally speaking, the amount of research I do or don’t do for projects depends on the type of story, what is required. If there are certain things I don’t know or am vague about then of course I’m going to need to do a little research if I want it to sound factually correct, but then again, horror does require a little suspension of belief at stages so meticulous research isn’t something I constantly adhere to. All places I use in my work (as in towns, cities etc) are almost always of my own creation, I never write country specific or area specific so that gives me plenty of room and artistic license to do as I please with them. Cemeteries, haunted houses, all those great places for inspiration, I have had plenty of experience with them in any case over the years, research not required. Do you think your writing is improving with each spine tingling addition to your supernatural library? Yes I believe so. My first few attempts at writing novels, many years ago when I first became obsessed with horror in all its medium, was definitely derivative of all the authors I was fascinated with reading at the time so it wasn’t exactly my own voice, more of a conglomeration of my favourite authors. From then on, after I discovered the late great Richard Laymon, I altered and honed the way I wrote. Each consequential thing I write, I would like to think I am further honing my skills and advancing my abilities as a writer and storyteller. Did you find yourself cursed at any stage during the writing that held things up for a bit or did it flow freely? Not particularly no. In terms of writers block, I don’t really suffer it at all. I’ll reply with the same response I always do when presented with similar questions. I constantly keep multiple projects on the go at any given time and if I ever do happen to stumble into a bit of trouble on one, I switch to another and carry on with that. Usually I return to the original one which might have been giving me issues, rejuvenated, with a new approach on how to work it and continue writing no problem. I never have problems with the words flowing when I do sit down to write, they are always coming. It’s often a matter of finding the time to get to sit down and do the writing, around kids and other things, so once I do, I always make the most of it. Why do you love this craft so much? That’s the craft of writing by the way not witchcraft? I just love to write, always have. I love to create horrific tales, I love to unleash the darkest corners of my imagination. Besides, I’m good at it. I was a fanatic of horror and writing from a very early age, I’ve grown up with a deep love for it that has never abated. Not a massive amount that is for sure. I am not one of these writers who needs to have everything mapped out to the smallest detail, and for the most part, as I’m writing, even I have no idea how the book is going to end. For some short stories I usually have a clearer idea of how things are going to culminate, but even then not always. I prefer to let my characters develop, throw themselves into peril and create mayhem, and just see where it takes them. Being a meticulous planner of things has never been the way I write, that’s one thing that has never changed over the years and nor will it. I run with a few ideas or a basic outline/plotline of what I originally think will act as a framework for the story, but again, that doesn’t always eventuate as I believe it might. In most cases, something completely different will crop up. I’m constantly bombarded with ideas and it’s a matter of getting them all out. Some work, some don’t. Do you have a crowd of zombie followers who read every word and encourage you? Yes. Calling them zombies though would be doing them a great disservice. I have an excellent network of people who encourage, assist, read, provide feedback, support and promotion, from my family, to my publishers, friends, readers, all kinds of network contacts I’ve cultivated over the years. What is your experience of the Publishing industry, apart from it being the most blood sucking industry out there? I’ve heard loads and loads of horror stories (nothing like the ones I write) about bad experiences in the publishing industry, but personally I have nothing bad to say about my experiences in it so far. My publishers J. Ellington Ashton have all, without exception, been brilliant to me, supportive, helpful and always on hand to answer any potential questions, and I have nothing but great things to say about them and those involved with them. 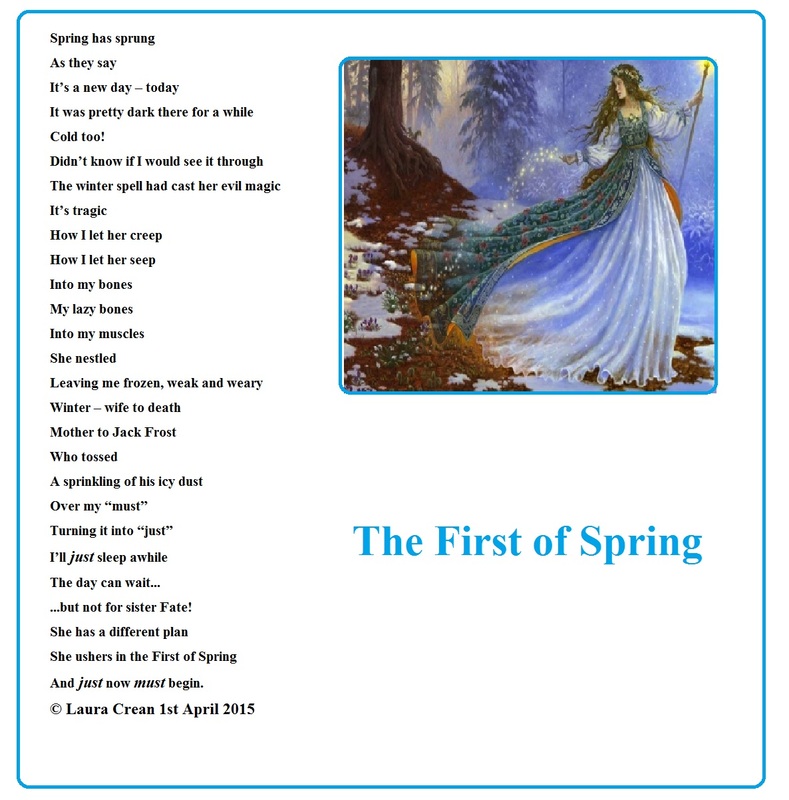 What’s more, they assisted in me realising a lifelong ambition, to have my work published. Is this book a part of a blood curdling series? Where is it going? All I can say is yes, there will be a sequel to Plebs. Where it goes after that, who knows, but you’ll have to read the first book to get the gist of things. Yes indeed. Currently over fifteen reviews on Amazon, with an average rating of 4.9 stars. I’m always on the lookout for more, but so far I’m pretty happy with what various readers have had to say about Plebs. Still waiting for that inevitable terrible review, somebody is bound to hate it sooner or later. If you couldn’t be a writer what would you do instead? And no Count Dracula is not an option! I’m doing exactly what I always wanted to do from an early age, writing horror fiction. There is nothing else I would rather be doing. Ha, pretty sure some of the folk in my town already think I’m some kind of Count Dracula as it is, so I have that covered too. 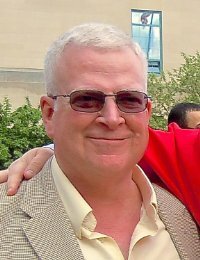 Richard Laymon. Discovering him back in the early nineties proved to have the biggest impact on me of any author I have read. He is still my greatest influence and inspiration when it comes to writing and still my number one favourite. No, not at this point in time. It might be something I explore a little later down the track. 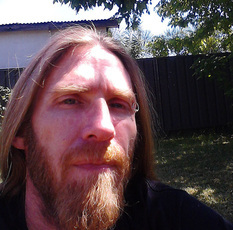 I spend time with my family, play with my children, listen to extreme metal music (Might not sound too relaxing to some, but it’s a perfect way of unwinding for me. I used to drift off to sleep to the sounds of Norwegian black metal as a teenager, nothing much has changed in that regard), read, watch movies and certain television shows. And I write. Writing is relaxing to me as well, it’s what I love to do, so I never view it as a chore. It is a pleasure and like I said, occasionally things will be happening in a day which mean there isn’t much time left at the end of it to be able to fit as much writing in as I would like, if any. So any time I get to write I love it, appreciate it and manage to wring as much out of it as possible. Yes, I belong to many. It does indeed help, in many different ways. I discovered my publisher through a group. I currently have editors so once they run through my manuscripts and get back to me, it’s a matter of me going through any corrections or alterations and seeing what, if anything, needs to be fixed up. Usually my most common issue is being far too sparse with comma use. Anything I submit is almost always a first draft, written as is, nothing changed. Once I have written something, nine times out of ten, it is how I want it to be. Rarely do I tinker with the end result or go back and change things or agonise over bits and pieces. Plebs itself, was submitted like this and came back after first edits with very minimal changes needed. I wouldn’t say it was a polished piece right from the start, but it didn’t require too much done to it. Never give up. That’s the first and most important thing I would have to say. It’s pretty easy to get discouraged with rejections and things like that, but they are all part of the process. Even the greatest of writers have had to contend with rejection. What doesn’t meet approval somewhere, might be exactly what someone else is looking for. If you love to write, just write. Keep at it. To me, writing is easy and comes naturally, although that might not be the case for everyone. If you have to push too hard at it or it seems to be turning into a chore for you or something you aren’t deriving enjoyment from, maybe step back from it and reflect on things. Thanks for stopping by Jim. 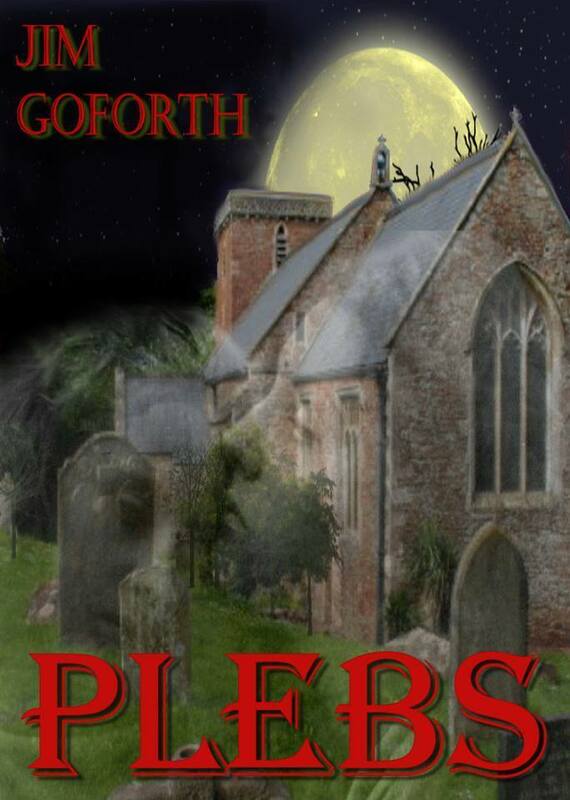 I am looking forward to reading Plebs, I like a bit of horror on a cold dark night. We’d love to have you back on the Bookish Banter with any future spine-chilling stories.